Whether you're interested in volcanoes, the NHS or local history, venues across London have most topics covered in their programmes of public talks and lectures. Many events are free to attend. If you can't make it on the day, some of these venues offer live streaming or videos/podcasts of their lectures online. Bishopsgate Institute's talks often focus on London. Details of the next season of talks and lectures should be announced this month. Expect public events about London street sellers, magic lantern shows and Black History Month. Experts on social sciences and humanities give talks and take part in panel discussions at the British Academy. Most are free and usually take place in its beautiful building on Carlton House Terrace. See the website for what's coming up. It's no surprise that cultural institution The British Library offers talks, lectures and panel discussions among its exhibitions and tours. Topics cover anything from human rights to the future of the Arctic, to comics. Conway Hall is owned by Conway Hall Ethical Society and offers a platform for free speech and independent thought. Once or twice a month, London Thinks events take place, with debates about topics from Scientology to capitalism. Central London Humanists and London Fortean Society regularly hold talks at Conway Hall too, making for an eclectic programme throughout the year. Over 400 years old, London's oldest higher education institution holds over 100 free lectures a year on topics as diverse as art, maths, law and religion. The College has been based at Barnard’s Inn Hall since 1991, although lectures take place around the City, including at the Museum of London. Several talks focus specifically on London, including Roman London and the plague of 1665. Lecture are free, see upcoming lectures programme. The home of City of London's archives holds regular free afternoon talks about London history — anything from the River Fleet to the Huguenots. Once a month evening talks have an author discussing and signing their latest book (there's usually a charge for these events). See upcoming events here. Among the music and comedy at Kings Place are spoken word nights. Authors and poets read from and talk about their latest work, covering topics from marriage to technology. Big names such as Richard Dawkins often grace the stage, but these events sell out quickly. There's normally a charge (under £10) for events. 1p is all it costs to attend an event in Morley College's penny lecture series, which begin every few months. 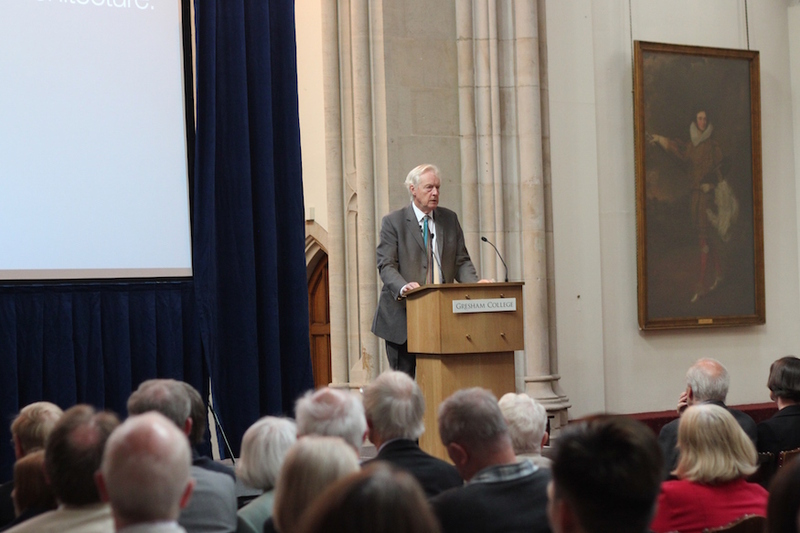 Historically, topics were chosen to encourage new thinking and ideas, offering illustrated lectures at affordable prices, and this ethos continues, with recent topics ranging from The Big Bang to LGBT rights. See events page for forthcoming talks and events. Government documents dating back more than 1,000 years are kept at the National Archives at Kew. Talks based on the archives cover social, political and military history, as well as family history, for those interested in their own lineage. If science is your thing, take a look at the Royal Institution's event calendar. There are regular talks and lectures on scientific topics, from dark matter and the Large Hadron Collider to sustainable energy and the conservation of contemporary art. The monthly Friday Evening Discourse has been a tradition since 1825, when famous scientists including Nobel Prize winners share their latest research with the public. Adult events tend to stop over the summer to make way for children's summer schools, so check back soon for future events. The Royal Society covers all aspects of science, engineering and medicine in public lectures by scientists, scholars, writers and broadcasters. The majority of talks are free and open to the public. Upcoming talks cover topics such as volcanoes and robotics. Authors publicising their latest book account for most talks at bookshops. Waterstones' various venues hold several talks a week, some free, others chargeable. Other bookshops worth keeping an eye on are Daunt Books, Dulwich Books, Housmans, Foyles and Lutyens & Rubinstein. London's universities have a wealth of wisdom to share and often do so via public talks and lectures. In particular, UCL often runs free lunch hour lectures. London's museums, large and small, often hold talks by curators or experts to coincide with current exhibitions. 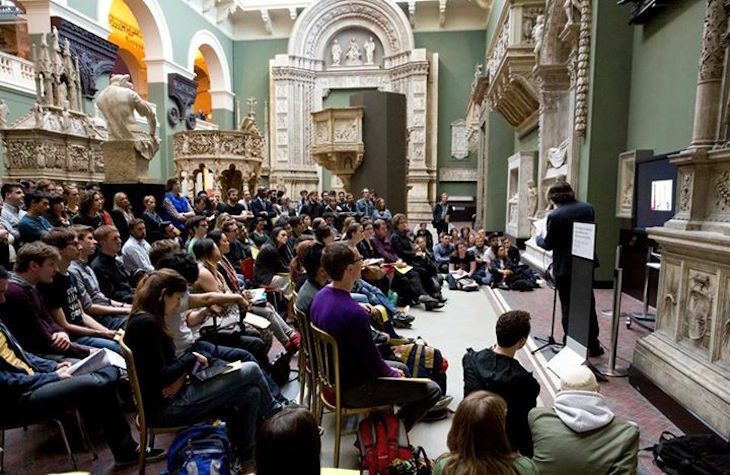 The V&A has a particularly busy talks programme, while Wellcome Collection's free events focus on medicine and health. For further inspiration, take a look at our museums page.